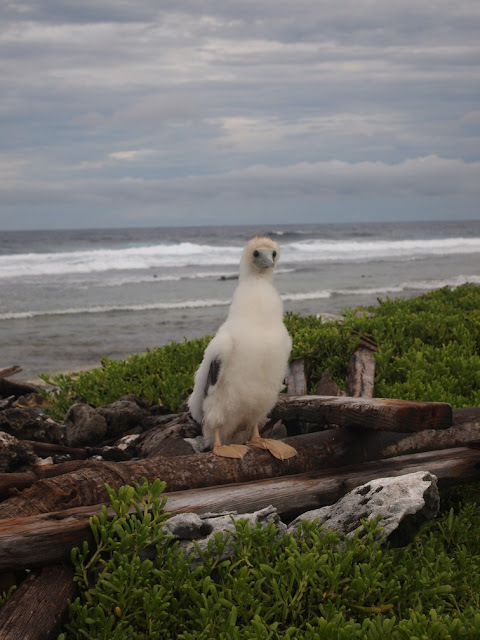 McKean is one the small, uninhabited islands of the Phoenix Islands Protected Area. 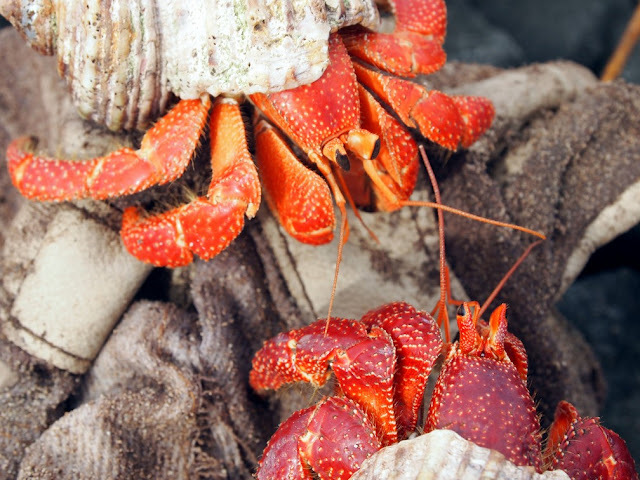 Home to nesting seabirds, hermit crabs and other marine life, these critters very rarely see humans. Imagine their surprise when they see us! Similar to places like the Galapagos, the organisms in PIPA are fairly bold, as they do not regularly encounter humans enough to fear us. On the last dive of the day to survey fish at McKean Island, Professor Stuart Sandin and Dr Brian Zgliczynski found themselves staring into the blue at a group of grey sharks. They were curious about what these animals were doing. Suddenly they saw a shadow behind those sharks and to their astonishment they realized they were staring at a whale shark (Rhincodon typus). Whale sharks are the largest fish in the sea, reaching lengths of 40 feet (12 meters) or more. 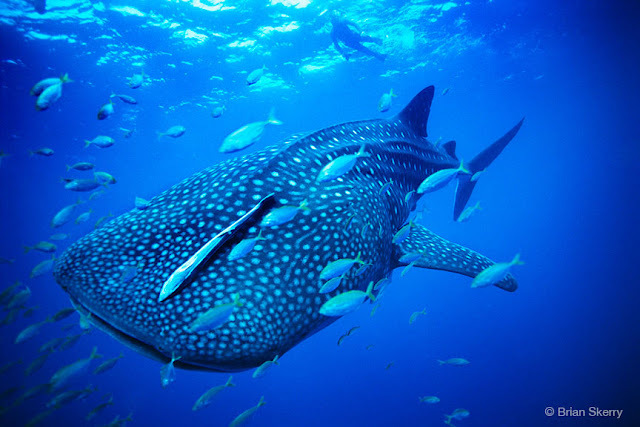 Whale sharks, like right whales and other baleen whales and basking sharks, are filter feeders that eats plankton. It's amazing to think that tiny little plankton, primary producers, can support organisms this large. Found throughout the tropics, whale sharks are thought to migrate across regions in order to follow their food supply. Indeed, they are known to migrate to spawning reefs, which can provide a protein-rich plankton meal. Although massive, whale sharks are quite calm and are passive to the presence of divers. They were previously hunted on harpoon, and are currently listed as a vulnerable species. However, they continue to be hunted in parts of Asia, so it's exciting to see them in a fully no-take protected area where they are free from harm. This is the first sighting of a whale shark for the Phoenix Islands, and adds to the growing list of reasons why this this protected area plays an important role in protecting important habitat for migratory species.